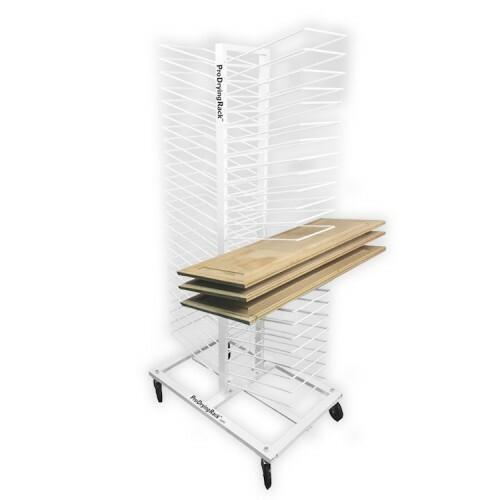 Speed up production with a compact vertical storage rack that holds up to 50 cabinet doors for drying. Industrial casters roll easily for moving or storing. Shelves can be removed to accommodate thicker materials, and longer items can be run through the shelves. Easy to assemble and disassemble for transport and storage.